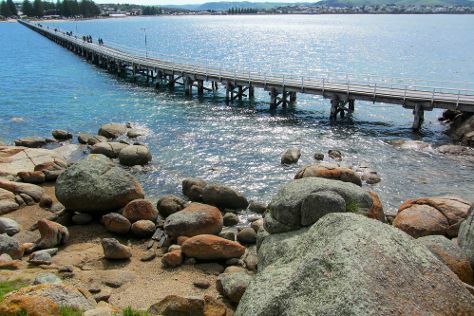 You'll discover tucked-away gems like Granite Island and South Australian Museum. You'll find plenty of places to visit near Adelaide: Island Beach (in Kangaroo Island), Beerenberg Farm (in Hahndorf) and Cape Willoughby Lighthouse Keepers Heritage Accommodation (in Willoughby). Dedicate the 29th (Mon) to wine at some of the top wineries in the area. There's still lots to do: look for all kinds of wild species at Cleland Wildlife Park, indulge your taste buds at Haigh's Chocolates Glenelg, steep yourself in history at Old Gum Tree Reserve, and take in the waterfront at Glenelg Pier. To see other places to visit, traveler tips, and more tourist information, refer to the Adelaide trip itinerary planning app . Brisbane to Adelaide is an approximately 5-hour flight. You can also do a combination of bus and flight; or drive. Traveling from Brisbane in October, Adelaide is little chillier at night with lows of 13°C. Wrap up your sightseeing on the 31st (Wed) to allow time to travel to Melbourne. You'll explore the less-touristy side of things at Art Gallery of Ballarat and Yarra River. 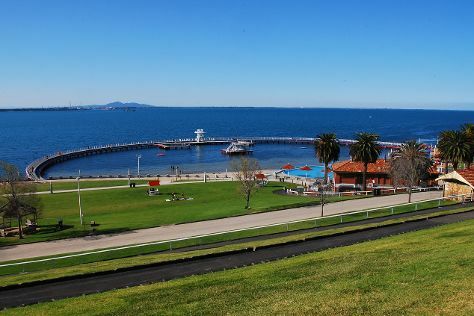 Change things up with these side-trips from Melbourne: Daylesford (Wombat Hill Botanical Gardens & Lake Daylesford), Eastern Beach Reserve (in Geelong) and Ballarat Wildlife Park (in Ballarat). There's lots more to do: take in the awesome beauty at Dandenong Ranges National Park, explore the engaging exhibits at Australian Centre for the Moving Image, stop by Yarra Valley Chocolaterie & Ice Creamery, and test your team's savvy at popular escape rooms. To see reviews, maps, traveler tips, and more tourist information, read our Melbourne online road trip planner . You can fly from Adelaide to Melbourne in 3.5 hours. Alternatively, you can drive; or take a train. Expect little chillier evenings in Melbourne when traveling from Adelaide in October, with lows around 9°C. Wrap up your sightseeing on the 7th (Wed) to allow time to travel back home.